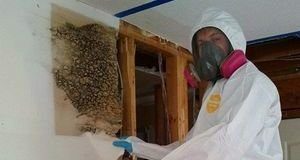 Saving the homes and businesses of Wauwatosa from the effects of water damage is a full time job, and that’s why our teams of experts with 911 Restoration Milwaukee are available 24/7/365. Ensuring that the people in Wauwatosa are protected when an event does happen means a quick response time, and that requires stationing his teams around the area for any such occurrence. This allows our experts the ability to be on the scene within 45 minutes of a distress call no matter where it happens. Giving people our best involves so much more than extracting the water from their home, it really means being there for them through everything, answering all the questions and giving them back a home that is better than before all of this happened in the first place. Providing his customers with this level of care and satisfaction requires incredible skills, not only in the restoration field, but also in his ability to manage their stress and bring them back their calm when this type of event takes place. Don’t give water damage a chance to stress you out. Call our teams of specialists with 911 Restoration Milwaukee today to take care of everything for you! Our experts have been through his fair share of winter weather, and this is why he knows how extreme it can get. He also knows how much destruction it can cause on a home that is unprepared. To give homeowner’s the best chance at surviving winter through the extremes, he has compiled some tips and tricks of the trade which can save homes and businesses from the worst. Property owners of all kinds need to clean out their gutter systems before winter hits, this will keep ice dams from forming in there and destroying the roofing layers that protect the home. In addition to this simple technique, our experts also insist that people keep the temperature in their homes above freezing. Doing so gives the property the best chance of avoiding pipe bursts and failures. Taking the worry out of the equation for a homeowner is a huge part of the job, and then when you can see the relief on their face that someone has their back, it’s a really great feeling. A pipe burst can be extremely expensive and it only takes a few extra dollars on the heating bill to avoid thousands in restoration costs. Caring Makes All the Difference. Our experts aren’t just concerned with taking care of the water damage Wauwatosa issues that happen after a flood. He’s also chiefly concerned with the emotional status and stress level of his clients. We really don’t want people to have to suffer through this type of event alone. We want to provide our customers with care and support for the entirety of the restoration process. This dedication to customer satisfaction and the emotional well-being of his clients is what makes our experts such leaders in his area and in the industry as a whole. We honestly care so much about people and making sure that they get exactly what they want out of their restoration project that we will even file the insurance paperwork for them. Water damage and all of the potential problems that it causes are a heightened risk for the people of Wauwatosa, and that’s one of the many reasons that our specialist crews always go the distance when it comes to taking care of the people and homes in this area. Don’t let the forceful nature of water damage create a river of flood water through your home. Contact our professional water damage Wauwatosa teams with 911 Restoration Milwaukee today and let them handle everything for you!